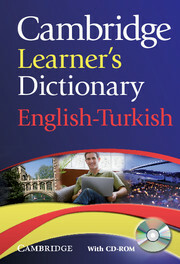 A new edition of the Cambridge Learner's Dictionary for Turkish speaking learners of English. In this semi-bilingual dictionary, word partner boxes show how words are used together, helping develop natural sounding English. The thesaurus boxes provide alternatives to over-used words, helping widen your vocabulary. Also, Common Mistakes boxes taken from the Cambridge Learner Corpus help avoid typical errors made by Turkish learners of English. 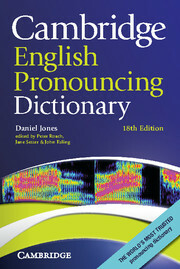 The CD-ROM includes the whole dictionary in a handy searchable format and much more, too! You can listen to every word in British and American English - and even record yourself for comparison. The unique SMART thesaurus helps build vocabulary. QUICKfind, a mini pop-up version of the dictionary, lets you look up words as you work with no effort. Hundreds of interactive vocabulary practice exercises help monitor your progress. Common Mistakes boxes, based on an analysis of errors made by Turkish learners in the Cambridge Learner Corpus help you avoid typical pitfalls. SMART thesaurus on the CD-ROM facilitates self-study, assisting you with vocabulary building and near-synonym differentiation. Study pages, including information about emailing and spoken English, help you with spelling and grammar. There are also exercises for self study, so you can practise what you've learned.